In the first growing season of root or crown cuttings, the leaves should only be harvested lightly, taking the larger outer leaves through September (in Nantahala, NC). The stronger one year and older plants can be harvested more or less continuously through wilt-down. Leave some top growth to wilt down over the plant, this will both protect the crown and promote a large first cutting the following Spring. Comfrey leaves will stay green through dozens of light frosts and will wilt-down for Winter with 15° F weather, usually in December in Nantahala, NC. In subsequent growing seasons, you may cut at any desired leaf stage, usually when the clump of leaves is 12 inches to 2½ feet high. Always cut about 2 inches above the ground. Bocking #4 Comfrey is not invasive, but stays where planted, each year getting wider forming an “atoll*” and a more extensive root system. *Comfrey plants develop a hollow center as they grow and age. This is normal. As the plant ages, its exterior grows outward while the center widens with the plant's growth. The plant-growth is ring-like or atoll-like. Therefore, we refer to it to as an "atoll." Here again: Keep it clean— Keep it cut — Keep it fed! To harvest use a knife, sickle, scythe, tri-blade weed eater or tractor mowing blade. Always try to harvest before flowering buds/tips appear, as the nutrient value of the plant will fall rapidly if left to bloom. Blossoms are usually blue/violet in color. Also once these buds bloom out, vigorous plant growth stops for that season. To delay harvest and allow leaves to reach maximum size you can pinch off any flowering buds before they bloom. These buds are a bonus harvest in themselves, as they contain maximum allantoin levels and are often reserved for poultices as well as food and “green drink” use. When you notice there are unopened flower buds, there will be about 5" of stem, including two small leaves adhering close to the stem. This growth, including the buds, the stem, and the leaves, is a "flowering tip." It is recommended to cut off the whole tip, just below these leaves. Usually, within 10 days to 2 weeks, more flowering buds will appear where you cut the flowering tip. These new tips, which will be shorter, should be cut off also. This will help the plant grow an extensive root system with more (and larger) leaves. For high-yield compost, choose Bocking #4 Comfrey -- the ultimate "Dynamic Accumulator". This prolific perennial herb has deep nutrient-mining capability and leaves loaded with phytonutrients. Because each plant functions as a veritable "nutrient-pump", this essential homestead plant has great usefulness and versatility, and is especially good for soil health. Unusual as it sounds, Comfrey is a finished Compost as soon as it is cut and plowed under. One pound or more per foot of row will increase yields of most crops 30% to 100%! Also Comfrey leaves packed in barrels with water added soon become “Liquid Comfrey Compost” (LCC) which is used as mineral-rich plant food. This LCC is poured in holes before setting vegetables or sowing seeds in “hills”. Then when vegetables are growing, more LCC is poured around as additional plant food — an organic fertilizer with super-high mineral content. Leaves are about 17% nitrogen (horse manure=14%). Leaves have 2 to 3 times more Potash than good barnyard manure and much more than most other compost. Leaves are also an excellent potting mixture ingredient. Comfrey can make an ideal fill for methane gas generators, for with its 9.8:1 carbon-to-nitrogen ratio, there is almost as much nitrogen as in poultry manure. By adding grass clippings, weeds and other green material this makes it possible to achieve the 25:1 carbon-to-nitrogen ratio for efficient methane production. The resultant liquid by-product still contains all the plant nutrients and can be used as liquid fertilizer. An ideal nutrient level for tomatoes and beans is achieved by using 14 pounds of leaves to 20 gallons of water. Phytonutrients Abound -- Rich in Silicon, Calcium, Potassium, Phosphorus, Iron, Iodine, Trace Minerals and More! High in Vitamins A, C, & B-12! Rich in Allantoin - The Cell-Proliferant Healing Agent! Comfrey has about 7 times the protein of soybeans and 8 times the carbohydrate, pound per pound. When protein yield is measured, acre for acre, Comfrey surpasses soybeans, producing 20 times as much as the infamous bean. Now we’re seeing more and more why the availability and use of Comfrey has been suppressed! 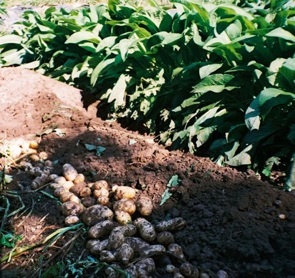 Comfrey provides a low-fiber, high-protein, high mineral feed — replacing more costly concentrates which contain soybeans and animal by-products for protein. Relished by chickens, turkeys, geese, ducks, guinea fowl, and even quail, pheasants and pigeons. 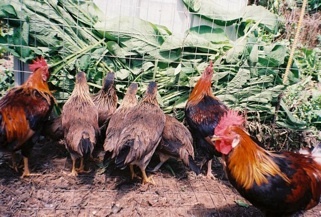 Poultry need a high-protein low fiber diet which Comfrey provides. The protein-to-fiber ratio is 1½ : 1 which is ideal for poultry and pigs; whereas the ratio for young alfalfa is 1 : 1½. Comfrey increases egg production and makes yolks a deeper yellow to orange. The chicken ration is 1 to 3 oz. per bird per day but free choice is best. Wilted and chopped Comfrey is best for poultry under 8 weeks old. Whole fresh leaves are loaded in hoppers made of 1” wide by 2” high wire mesh. The birds peck and eat freely without waste. Comfrey leaves, both fresh and dried (then crumbled), are used extensively by poultry growers, to keep up egg production and meat quality. Comfrey provides high levels of digestible protein and Vitamin A. Our Bocking #4 Comfrey is much appreciated by cattle, dairy cows, goats, horses, pigs, sheep, alpacas, donkeys, chinchillas. and rabbits — anything that eats vegetation! Comfrey has a well-deserved reputation for improving milk production — increasing both quality and quantity. Even fed free-choice, Comfrey will not cause bloat. It has a corrective medical effect for stomach and bowels, preventing digestive disturbances and urinary problems. The allantoin content is a preventative and curative for scours. It can be fed green or dried to even the youngest baby animals. In Great Britain it is a well-known blood purifier for cattle and horses as well as for humans. On a related note, in Wisconsin the deer population was infested with parasitic liver flukes, which were passed on to all livestock grazing on pastures. Deer, cattle, goats, sheep and hogs were afflicted; evident upon slaughter of these animals. Significant however, is the fact that all livestock which were fed cut Comfrey, free-choice and which were also on pastures, were found to have no liver flukes when butchered. The above fact was relayed to Coe personally by a farmer who raised Comfrey on 20 acres and fed much cattle and other livestock to sell in the 1970s. This indicates that Comfrey is really beneficial for the liver! Comfrey is an ideal “soiling” crop and has been used for centuries as cut fodder for confined animals. It has been found that 75 pounds for a bullock per day, and 40-45 pounds per day for a milk cow was a good amount to feed them. Sheep and goats get proportionately less. A 100 pound goat may eat 5 pounds a day or more. Comfrey is fed free-choice to working stallions and large horses — 40 pounds or more per day plus hay and oats. Race horses and show jumpers are allowed only 6 pounds per day, since too much green food has a tranquilizing effect. Mares in foal need calcium and phosphorus to build bones so they naturally enjoy Comfrey for its super nutritional value. A famous British horseman, Vernon Stephenson, who raced in 11 Grand Nationals and was responsible for more than 50 expensive mares per season on his stud farm — would feed all the horses Comfrey free-choice. This was not done for the cash savings over concentrates, which was considerable, but to give these high-value horses the very best. One side-effect and obvious benefit is a beautiful glossy coat! To conclude — we cut and feed all the Comfrey the animals want — free-choice. Some goats and chickens eat freely through patches of the growing Comfrey but horses and cows would trample it. Extensive testing at Nihon Agricultural University in Japan revealed the following: the protein-to-fiber ratio of 1½ : 1 is ideal for pigs and chickens. Adult pigs do well on 17 to 19 pounds of fresh green leaf Comfrey per day. This promotes a noticeable improvement in health not only preventing scouring but through better mineral balance. Up to 30 pounds per day was fed to gilts and sows with growing litters. Feeding free-choice and more than 30 pounds a day to sows with large litters was best as piglets started eating Comfrey along with milk from the sow’s crowded teats. Significantly, by feeding pigs Comfrey, 25% to 35% less feed-meal was needed! Earthworm growers know that Comfrey leaves added to their worm beds make worms that are big and fat. Experts in the field like Charlie Morgan, confirm that COMFREY INCREASES EARTHWORM NUMBERS BY ABOUT 400%! Fresh Comfrey leaves will float and fish nibble away at them, also leaves are chopped and fed to farm raised tilapia, koi and even goldfish. High-protein Comfrey pellets are fed by producers of catfish and trout, saving them money. Acres of Comfrey are grown on large animal reserves, specifically to feed the largest land mammals. Giraffes, Elephants, Rhinos and Hippos — all consume upwards of 100 pounds or more per day. In Africa, large private, Comfrey plantings are fenced in but these huge, wild animals often break through to get their Comfrey feast! By now we’ve all been exposed to little caveats regarding the “pyrrolizidine” alkaloids (P.A.) found in Comfrey and the supposed negative effect on the liver organ — found in animals and humans. Most of what is seen falls into the “repeated propaganda” category with no in-depth analysis presented. Not mentioned are the numerous studies coordinated with Universities, as well as, Nutritional and Medical Research Laboratories, conducted in England and Japan since the 1960s. In conclusion: “From these experiments and the extensive use of Comfrey for centuries with only beneficial results, both for humans and animals — it can be concluded there is no evidence of acute or chronic hepatic reaction and no toxic hazard from the use of Comfrey”. An identical (word for word) reprint/“knock-off” of this book with a different cover and title, Comfrey: Past, Present and Future, is also available from several online bookstores. Helpful Co-Reference: Contra-Indications by Dr. John R. Christopher, M.H., N.D. on "Dr. Christopher's Herbal Legacy"
Lastly, the GardenWeb thread "Comfrey- The Facts" by "johnyb" of Queensland is a thorough look at the comfrey alkaloid controversy. The value of Comfrey as food for humans cannot be overestimated. 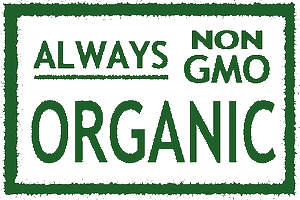 Although it continues to be suppressed by the “powers that be” it is used daily for food by countless thousands around the world. It is used as tea and “green drink”, fresh leaves — raw, cooked and dried are eaten alone or mixed in recipes. Both the dried roots and leaves are made into a nutritious flour. The potential is unlimited. Phytonutrients and Delicious Organic Nutrition Abound! The medicinal value of Comfrey, especially with its high allantoin content, is no secret. Documented use for centuries proves its value in the treatment of wounds, fractures, sprains, bruises, burns, ulcers, infections, lung problems and much more. For healing, Comfrey Tea is used internally and strong hot tea is used for fomentations. Poultices are made from fresh leaves and also mashed roots. Comfrey is considered to be one of the most valuable and important medicinal herbs you can grow. Download our brochure (in .pdf format) for additional information.